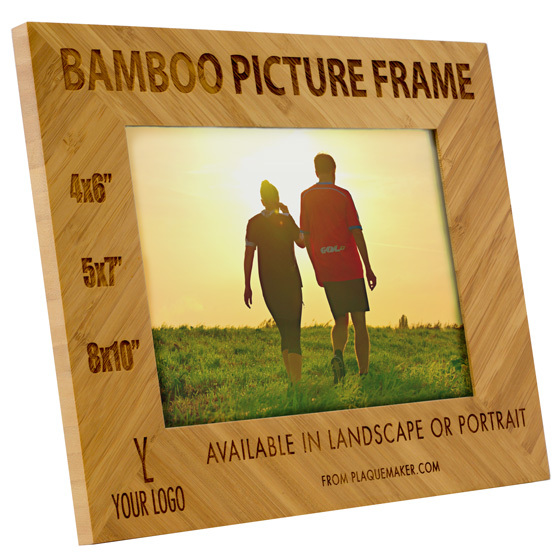 PlaqueMaker.com offers Personalized Engraved Picture frames made from bamboo wood. 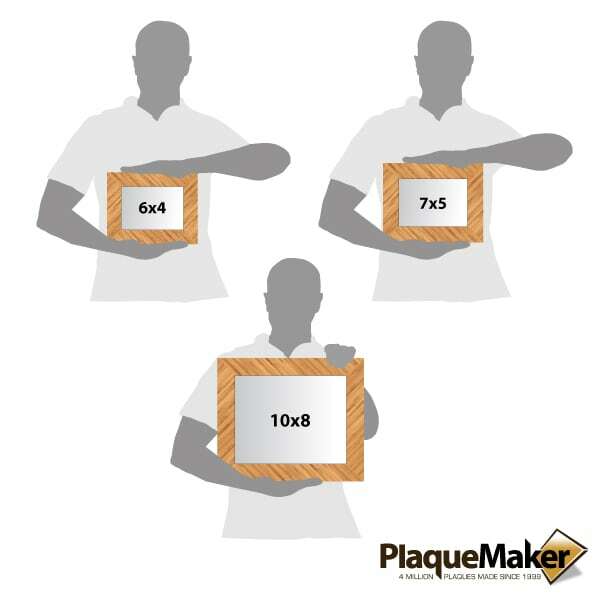 These photo frames come in a variety of sizes to meet your needs. These unique wood frames allow you to add your custom text and artwork. We can even print a photo for the frame for you. 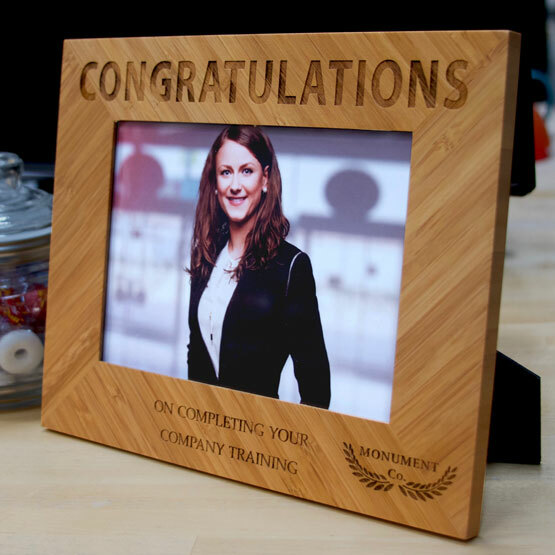 These frames make great wedding gifts, corporate gifts, and are a great way to display a memorial for a lost loved one. Design your frame yourself with our design tools, or submit your order for a graphic designer to set up a no obligation proof for you.